I LOVE bows🎀 I am all about the pink if yall couldn't tell and the more girly the better! 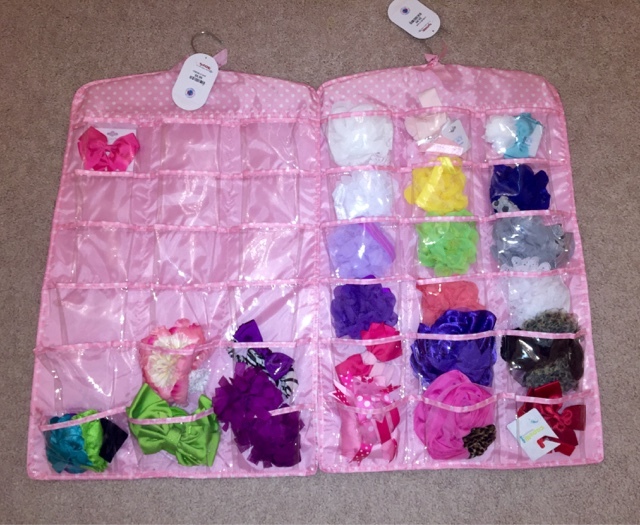 I knew I would have a ton of bows for our baby girl so I was trying to figure out the best way to organize without spending a ton of money! This was a DIY below that my best friend made for me! 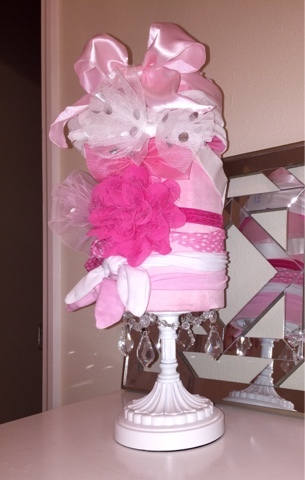 I Absolutely love it😍she used a candle holder and covered a oatmeal container with pink silk it's seriously the most perfect way to display all your pretty bows! 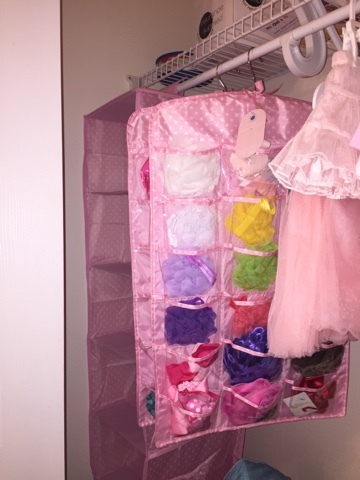 I also found these pink/ clear closet organizers at TJmaxx which work perfect for bows! They are double sided which allows more slots for the bows. & they came with hangers so they easily hang up in your closet. They work perfect and were only $9.99!